A few years ago, a special jubilee year dedicated to St. Paul, was declared by Pope Benedict XVI. It ran from June 28, 2008 to June 29, 2009 marking the approximately 2,000th anniversary of the Paul's birth. The Apostle Paul has been an inspiration to many lives, including my own. Artwork Depicting St. Paul the Apostle -- paintings, sculpture, stained glass, fresco, etc. Chronology of St. Paul's Apostolic Ministry is only approximate, but is helpful in placing events and dates when he authored various letters. 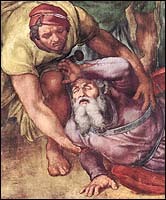 Detail of Michelangelo, "Conversion of Saint Paul" (1542-1545), Fresco, Pauline Chapel, Vatican. Full painting. 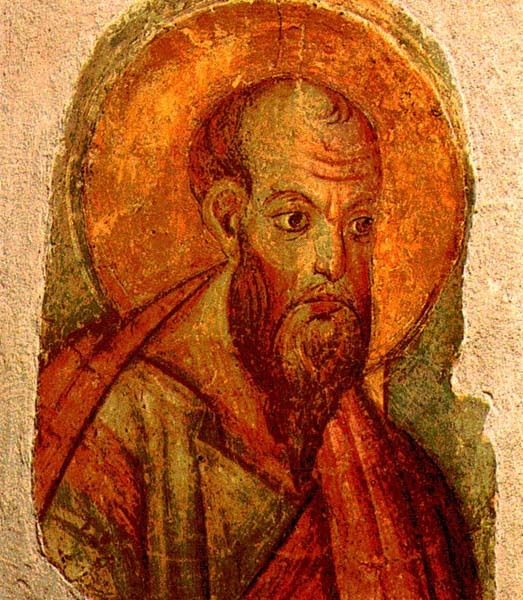 Saint Paul was the apostle to the Gentiles (5:56) Paintings of Paul with Paul's words superimposed. 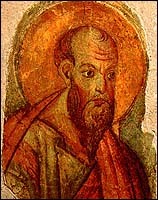 Saint Paul of Tarsus (2:00). Introduction to St. Paul's life. Catholic News Agency TV. Life of the Apostle Paul with Rick Steves (40:32). Evangelical Lutheran Church in America. Paul the Apostle: The Man Who Turned the World Upside Down (TV, Good Times Entertainment, 2001). David Kieran stars as Paul. From "Paul: The Emissary" (1980), with Fred J. Scollay as Paul. From "Peter and Paul" (1981). Paul of Tarsus is played by Anthony Hopkins, Robert Foxworth is Peter the Fisherman.